So you want a construction job? If you’re thinking about a construction job in the UK you’re in luck the construction industry is growing, approximately 3 million people currently work in construction making it one of the largest and possibly most diverse employment sectors in the UK. There is a job that fits practically every skill set and experience level, as most construction companies provide a range of in-house or outside training and development programmes. An application for employment within a construction company will almost universally be met with an open mind as long as the applicant can demonstrate a genuine enthusiasm to learn and work hard. There really is a job for everyone within the construction industry form labouring on site to running a company that carries out projects throughout the world. Within that range are a huge number of roles both indoor and outdoor – including:- Surveyor, Estimator, Finance, CAD, HR, Bricklayer, Carpenter, Painter, Roofer, Groundworker, Foreman, Site Manager and many more. What does a construction worker earn? What qualifications do I need to be a construction worker? You don’t necessarily need any qualifications to start in the construction industry and in many cases training can be given to further your career progression. That said there are a whole host of qualifications and experience that will be of great help in securing your first job in the industry so do your research. For many a traditional and very effective route into construction is to enroll on an apprenticeship. There are many apprenticeship opportunities available at the government apprenticeship website. What do construction workers do day to day? You name it construction workers do it. The very nature of construction work means that there is an enormous range of roles both indoor and outdoor, practical and theoretical and physical or mental. It is essential that you know what sort of work suits you best – then explore the range of construction jobs that fall into that category. 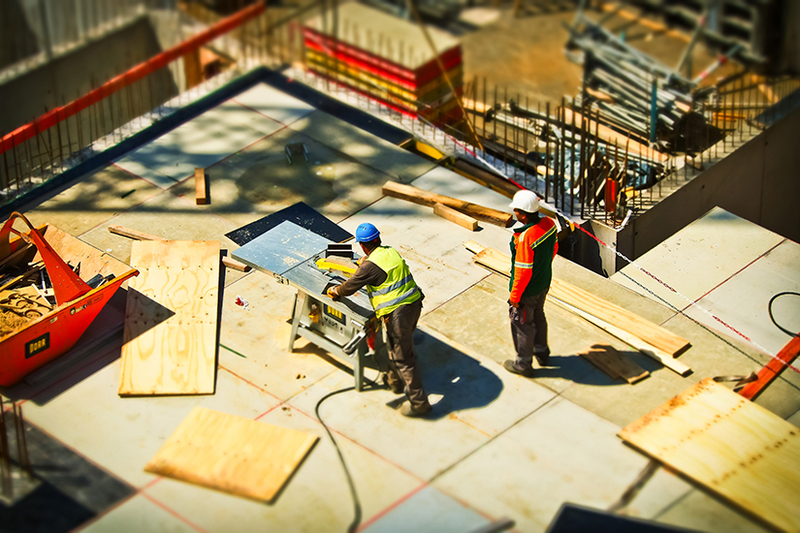 Constuction Training: How do I get started as a construction worker? There are a number of ways into construction including straight from school, applying for an apprenticeship or pursuing a range of qualifications right up to degree level. It is very useful to seek the best advice available to ensure that you are taking the right entry path for you that best fits your current skills and experience. Once I become a construction worker what are my career prospects? The career prospects in the construction industry are as extensive as they are varied. Once you have joined the industry there are any number of courses that you could take that will give you the extra skills and qualifications that you need to take yourself to the very top. What are the best bits of being a construction worker? No two days are the same. Working in construction is varied, sometimes challenging but always interesting and rewarding. For anyone who has worked on a construction site for any length of time will testify – it is also almost always great fun. Enjoy. Be found by construction employers upload your CV at gocareer.co.uk/submit-cv infographics provided by GoConstruct.